Why number of peaks of my signal stay same when I increase n in n-point moving average filter when data is big? 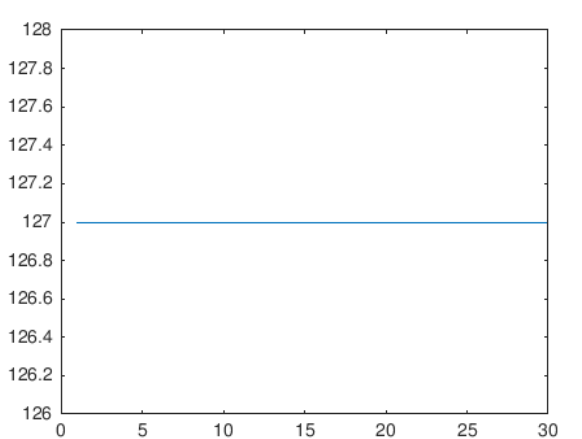 I am using MATLAB to find the number of peaks of a signal. 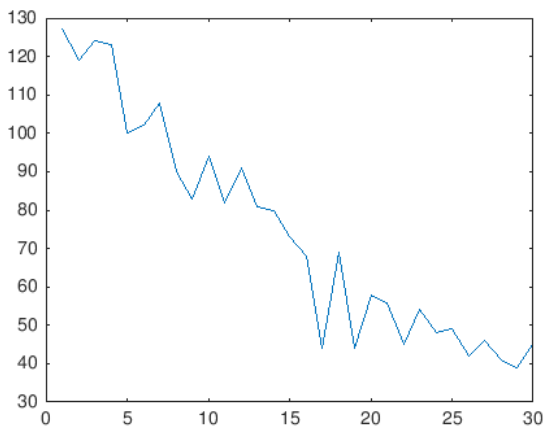 I'm trying to plot the number of peaks of a signal filtered with N-point moving average filter, N goes from 2 to 30. (I also consider the number of peaks when no filter has applied at the beginning of the resulting array) My data array(imported from csv and has double values between 0 and 1) has around 50k points. When I give part of the data i.e 100, 500 or 1000 points, using array slicing, # of peaks decrease as expected. However, when I give the whole data or even 2000 points, the number of peaks stays same at 127. I changed the number of data given to the filter to find out why this happens. I changed the commented lines like showed in the comment and tried. When less than 1000 data points given plot was fine. srknzl is a new contributor to this site. Take care in asking for clarification, commenting, and answering. Check out our Code of Conduct. I realised that the problem is int8 I use. It can only take up to 127 and this caused my big results to be as 127. Turning it into double solves the problem. srknzl is a new contributor. Be nice, and check out our Code of Conduct. Not the answer you're looking for? Browse other questions tagged matlab csv filter signal-processing moving-average or ask your own question. How to make a PSD plot using `np.fft.fft`?